It's the Only Bar Fight We Are Willing to Host: UFC!!! 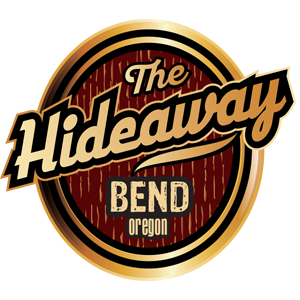 It's a fight for the title of UFC Featherweight Champion March 3rd and it's playing live at the Hideaway Tavern. 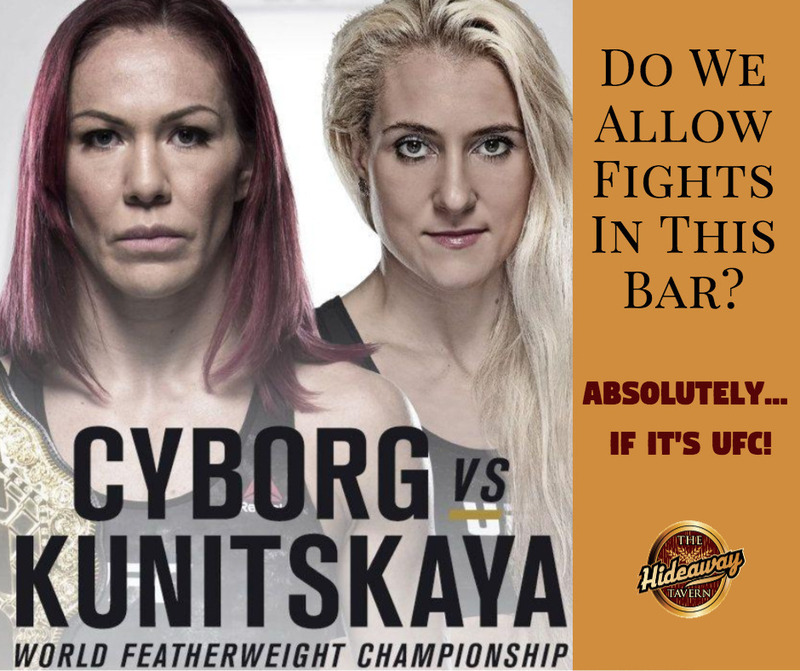 It's the only time a bar fight will be allowed in this bar, when Cyborg takes on Kunitskaya for the title. So, let the fists come out (just keep your fists busy stiffly holding onto a drink or wrapped around one of our delicious house-ground burgers). $10 cash at the door gets you in and it's first come, first serve for seats. Let's get rowdy!